More seniors, low-income homeowners, and people with disabilities in Nova Scotia will be able to remain in their homes longer thanks to significant improvements to existing home repair and adaptation programs. 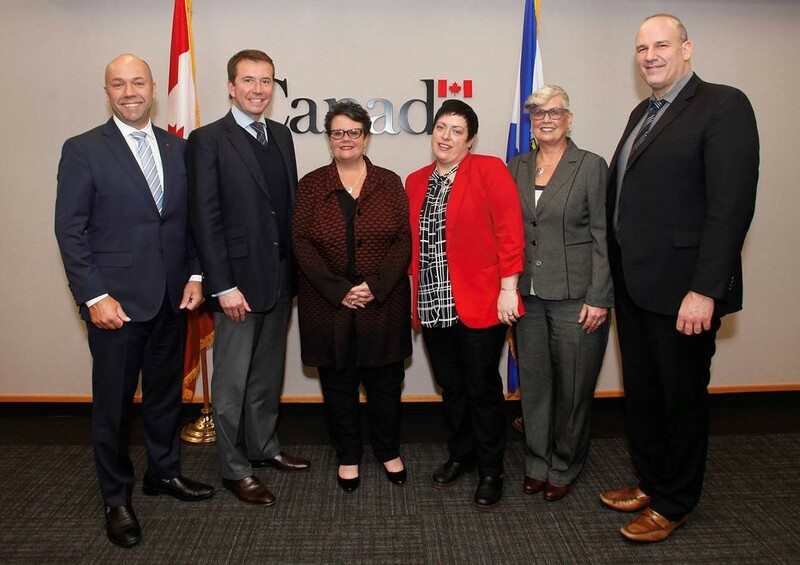 Housing Nova Scotia and the Canada Mortgage and Housing Corporation are investing $7.8 million to give Nova Scotians more access to affordable housing and to support independent living. The investment more than doubles the funding that was previously available. 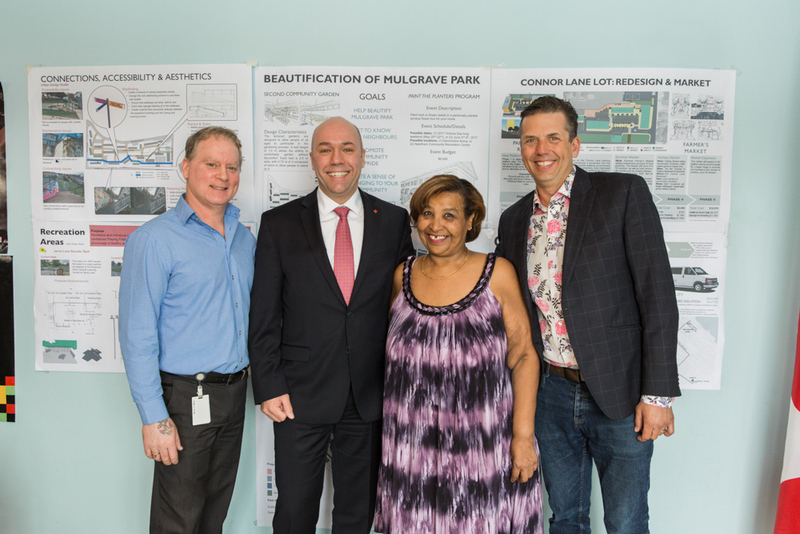 Mulgrave Park residents will soon benefit from a $5 million investment to preserve social housing in their neighbourhood. Halifax Chebucto MLA Joachim Stroink, on behalf of Joanne Bernard, minister responsible for Housing Nova Scotia, and MP Andy Fillmore, on behalf of Jean-Yves Duclos, minister responsible for Canada Mortgage and Housing Corporation, made the announcement today, March 28. Indigenous women and children fleeing domestic violence will soon have a safe new place to call home, with the help of government funding for affordable second-stage housing. Joanne Bernard, Minister responsible for Housing Nova Scotia and the Nova Scotia Advisory Council on the Status of Women, joined MP Andy Fillmore, on behalf of Jean-Yves Duclos, Minister Responsible for Canada Mortgage and Housing Corporation, today, March 17, at the Mi'kmaw Native Friendship Centre in Halifax to make the announcement. Seniors will soon have better access to affordable rental housing with support from the Governments of Canada and Nova Scotia. The construction of a 26-unit development, including three barrier-free units, will ensure seniors in rural Nova Scotia have access to safe, accessible housing. Municipal Affairs Minister Zach Churchill, on behalf of Joanne Bernard, Minister responsible for Housing Nova Scotia, joined MP Colin Fraser, on behalf of Jean-Yves Duclos, Minister responsible for Canada Mortgage and Housing Corporation, today, Jan. 17, to celebrate the opening of the new affordable housing units in Hebron, Yarmouth County. Derek Mombourquette, MLA Sydney-Whitney Pier, on behalf of Joanne Bernard, Minister responsible for Housing Nova Scotia, joined MP Mark Eyking, on behalf of Jean-Yves Duclos, Minister of Families, Children and Social Development and the Minister responsible for Canada Mortgage and Housing Corporation, today, Jan. 13, to celebrate the opening of eight new affordable housing units provided for low-income individuals who need supports to live in the community. The Governments of Canada and Nova Scotia are investing in the replacement of Bryony House, a 24-bed shelter for women and children in Halifax, who are victims of domestic violence. Up to $3 million will be committed for the construction of a new building that can better meet the needs of families. 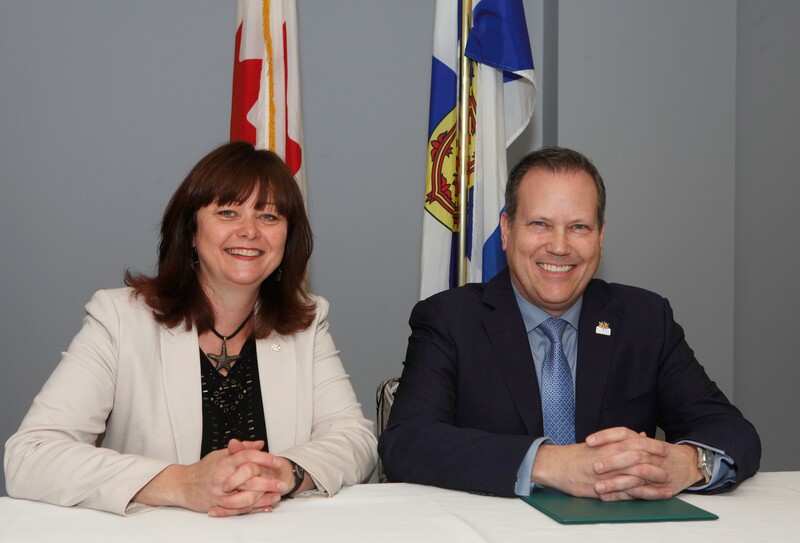 Nova Scotians in need of safe, affordable and accessible housing will soon have more options thanks to a new federal-provincial agreement. Premier Stephen McNeil, and Joanne Bernard, Minister responsible for Housing Nova Scotia, along with MP Scott Brison, on behalf of Jean-Yves Duclos, Minister responsible for the Canada Mortgage and Housing Corporation, announced today, Aug. 17, that Housing Nova Scotia has entered into the new federal 2016 Social Infrastructure Fund Agreement. 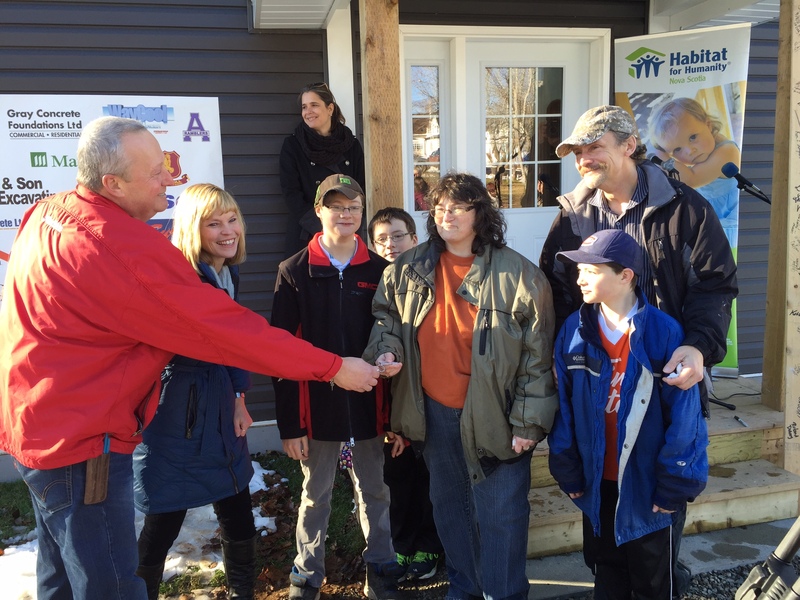 Habitat for Humanity today dedicated a new home for the Embree family in Springhill, Nova Scotia. We are pleased to support this project and support Habitat for Humanity Nova Scotia assist more families own their own home. 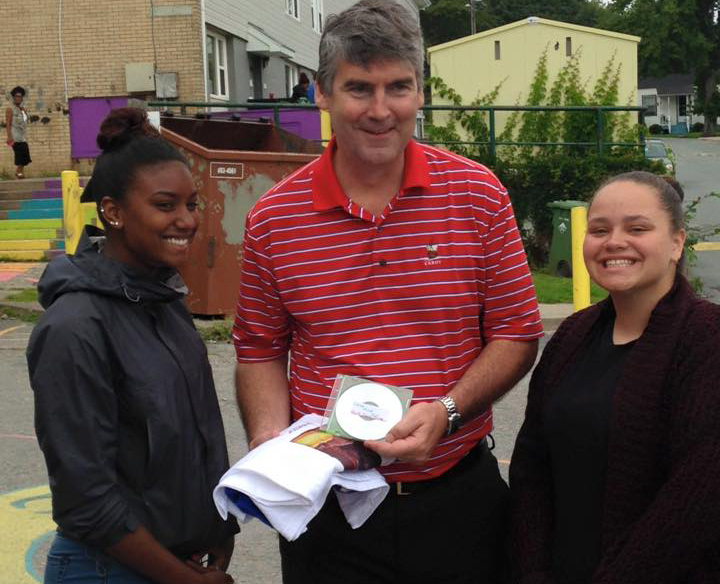 In August, Nova Scotia premier Stephen McNeil met with some of the younger residents of the community of Mulgrave Park in Halifax. Mulgrave Park is a public housing development owned and operated by Metro Regional Housing Authority on behalf of Housing Nova Scotia. Built in the late 1950s, it is the oldest and largest public housing community in Nova Scotia.